This is a bit awkward as I had a whole description here of my whole my boyfriend, now ex, took these photos for me which he took so fast I was unprepared for each shot which resulted in some very pretty poses but anyway I decided to post this today as it makes sense as I’m wearing green and it is St. Patricks Day! 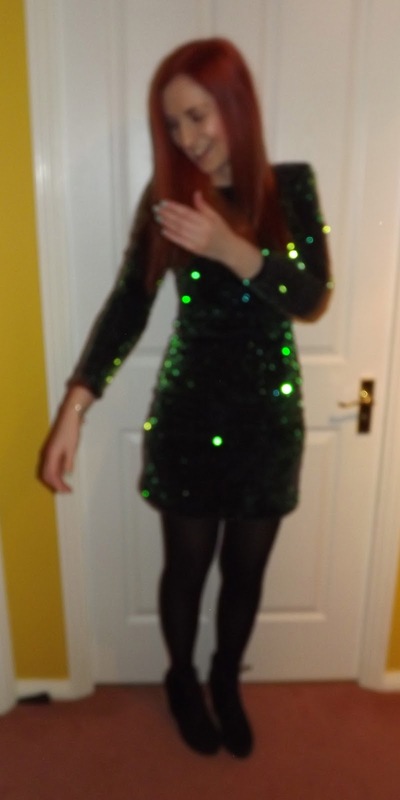 I’ve only worn this dress a few times and although maybe it being green and glittery it’s very Christmassy I want to make the most of it! I wore this to a ‘back to the future’ night so maybe it fit that theme? Maybe? 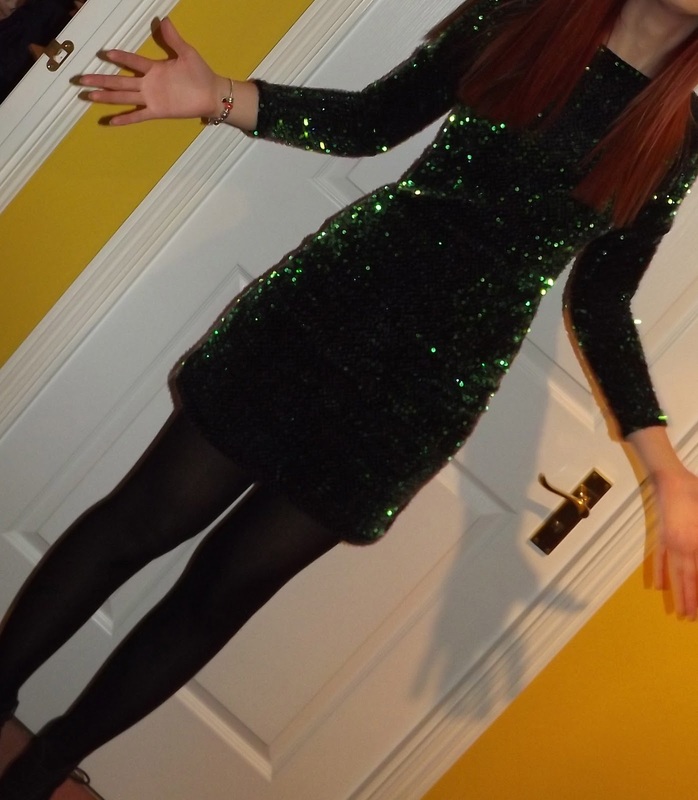 It didn’t prove very popular with people out that night though, I got offended so many times this night haha! Oh well I like the dress and I’m not wearing it to please anyone else. I featured this dress on my blog before, here, but the photos weren’t very clear. I’ve been so tired from uni this week and I think it really shows in my eyes in these photos! It may also be because I wore darker eye make up and I’m not so sure it suits me, I just like to try out different things! You can buy the dress here and below is my 20% off coupon for YOU to use on Motel Rocks!! Previous Post Crosses & Sequins. I can't believe people dated offend you in this dress!! It's beautiful you look like poison ivy (which is a good thing) Wear it with pride!